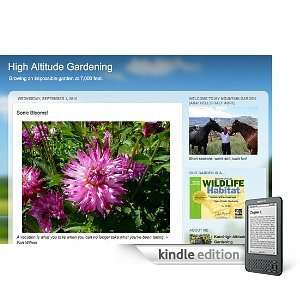 BLOG DESCRIPTION: Tips and tricks for gardening high in the Rocky Mountains. Short summers, weird soil, such fun! MY REVIEW: This is a great blog...but frankly I think you'd do better to visit it on the web rather than on the Kindle, because she provides lots and lots of gorgeous, full-color photos and to get the full impact, you do need to see them in color. Did I say these photos were gorgeous? Highly recommended on the Kindle - but better on the web.